Prepping for the gardening season begins in February for some people who start seeds indoors. Some vegetables need to start growing 8-10 weeks before they are planted outside. So those people have to decide when the likely last frost date is and start seeds accordingly. I never get around to starting seeds indoors so I buy healthy, organically grown transplants at the Farmers Market. Last year I bought a few tomato plants from a commercial greenhouse. Bad idea. The plants were used to getting frequent doses of chemical fertilizer and did not do well in my organic garden. So this year I will plan to get to the Farmers Market sooner to get all the organic, heirloom tomato plants I need. While I don’t start plants indoors, I have been collecting seeds for this year’s garden. I actually started that last fall when I saved pea and bean seeds from last year’s crop. I have been saving seeds from these heirloom plants for 4 or 5 years now. I have also saved seeds from lettuce and cucumbers. 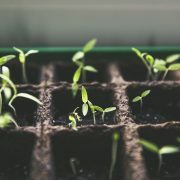 If I started seeds indoors I would save the seeds from the heirloom tomatoes I plant and develop plants that are adapted to the conditions in my garden. Maybe I will start seeds indoors next year….maybe. Heirloom plants, for those of you who are wondering, are open-pollinated with seeds that produce viable plants that share the characteristics of the parent plants. By contrast, hybrid plants will not produce viable plants from their seed. Heirloom plants help maintain biodiversity because they are capable of passing on useful traits to their offspring. These plants can adapt to changing conditions over time. 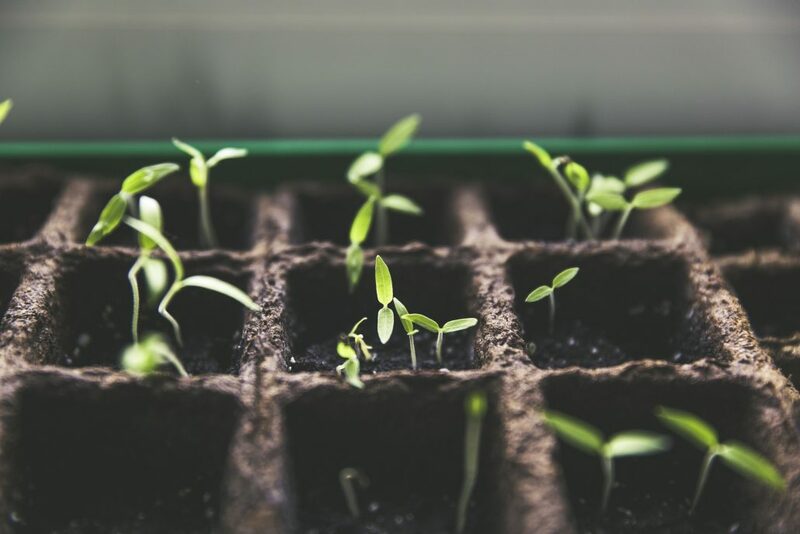 Organizations like Seed Savers Exchange make heirloom seeds available to gardeners so that the genetic diversity is not lost by over reliance on hybrid plants that are controlled by a few corporations. I have been picking up seeds at the Seed Savers Exchange rack at East Dakota Coop. There is a variety of spinach that was developed in 1826 and Chioggia beets that were developed before 1840. These varieties have stood the test of time and should be reliable producers in my garden. I also have swiss chard, kale, several lettuce mixes, basil and nasturtium. I will use the peas and beans from last year and buy tomato transplants when they are available. The next step is to look at my garden plan and decide where to plant things and see if I have missed anything. A few years ago I drew a scale drawing of the garden area on my computer. It shows my 18 round raised beds which I have numbered (cleverly) from 1 to 18. Then I use a spreadsheet to list the beds and what will be planted in each bed. I have copies of each year’s plantings going back to 2012. This helps me maintain a crop rotation plan so I am not putting the same vegetables in the same beds year after year. I print out the spreadsheet page and take it to the garden when I plant. Checking off things as they are planted keeps me on track. If there are changes I pencil them in. The printout can be used during the growing season to make notes on problems with plants or things I want to do differently the next year. A few of the beds will have dual plantings. Peas are planted in a single row around the north half of the round beds. Then a three-legged trellis is set up to hold plastic fencing for the peas to climb on. Lettuce mix is planted in the center of the beds. The peas get a head start and begin climbing up the trellis before the lettuce gets going. This also works for pole beans. The three-legged trellis also works for supporting tomato plants using something called the Florida weave. As indeterminate tomato plants grow and start to flop over the sides of the bed, I string twine between the trellis poles and weave it around the vines to support them upright. The poles are about six feet tall so I can use string several times to keep the tomatoes off the ground. Part of the planning is to make sure I have enough trellises for everything. That is a quick look at the preparation I am doing for the 30th growing season of my garden. Project Food Forest is also heavy into preparation for planting food forests this year. The logistics for planting food forests is challenging because we have to get plants, people, tools and supplies to the site at the same time. But it will be very rewarding to all of us to finally start planting. We will keep you posted on how it goes. Happy gardening.